Devine, Inc. was located at 4903 N. Ravenswood in Chicago. 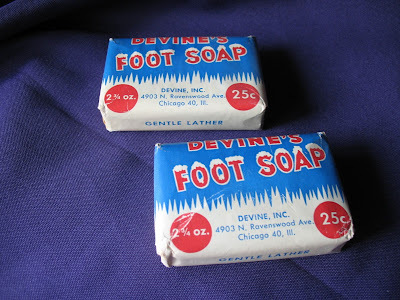 They manufactured Devine's Foot Soap, presumably among other items. If you know more about this company, please let us know in the comments. Looking forward for more data and this subject has ceaselessly charmed me. Much obliged to you for making an article that has astounding substance and is painstakingly shaped and even I am restored by your created style too. Go to this best exposition for getting written work sort of colleague and even you can get the rules as well.